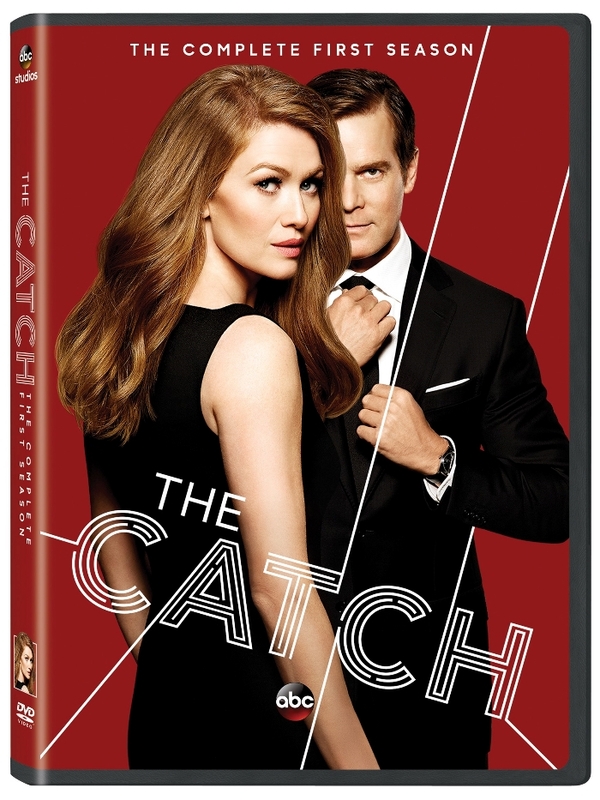 The Catch The Complete First Season DVD Review And Giveaway - Are You Screening? 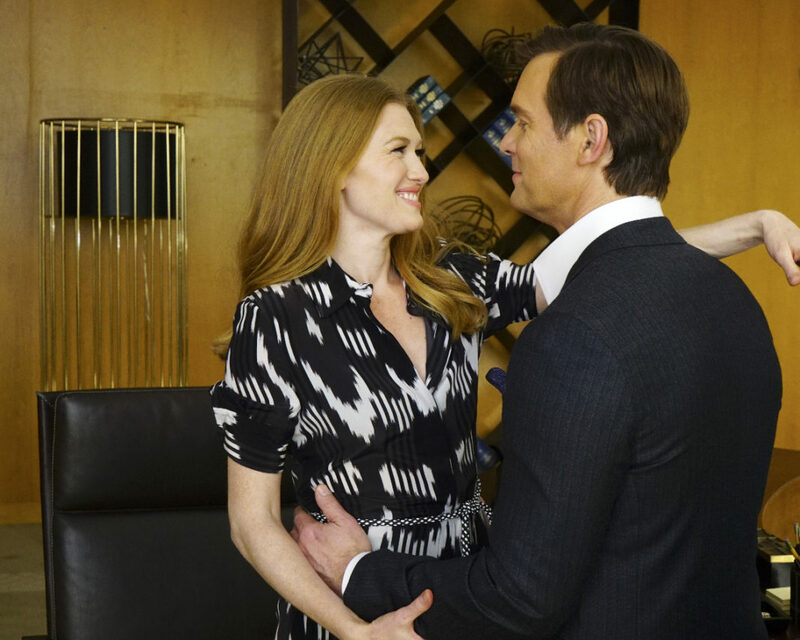 The Catch was something of a surprise last spring, with a gimmick that pulled you in, but clever writing that kept you going after the series established the somewhat surreal premise. Alice Vaughan (Mireille Enos) runs a serious investigative firm, with top-level clients and people working every angle for her, mostly to keep her clients secure from any number of threats. Her life takes an odd turn when her fiancé, Benjamin Jones (Peter Krause) reveals that he’s been pulling a long con on her. Now a serious game of cat and mouse goes into full swing, and it seems that Alice might be in over her head. It’s a show that’s as slick as can be, but manages it without having to dumb down the dialog, or rely on goofball dramatic turns that serve no purpose other than to make sure we have goofball drama. Before long, we’re in the midst of feints-within-feints, people moving in from all sides, and our stars can’t seem to keep straight what it is they’re trying to do. Krause and Enos deliver on charm in a way that’s rare, especially for a show that has to at least play up the flash and almost flamboyant trickery. Enos has the tougher job, given that she has to offer up someone we believe is as smart as the show wants to tell us she is, but still finds herself bamboozled. The show is also one of the better efforts in the last few years in terms of keeping you hooked throughout with the same level of intensity as when we first establish the show’s shtick. Though perhaps not something that can claim a strong rewatchable factor, this is a solid show worth picking up. It doesn’t have a lot of bonuses, just an outtake reel and some deleted scenes, but considering the number of episodes, getting anything is a treat. Desperate to extract some serious payback, Ali embarks on a secret quest to nab her ex-fiancé. However, the spark that ignited between these volatile lovers refuses to die, and soon, both Ali and Ben find themselves caught between trying to keep one step ahead of his murderous associates and her crime-fighting colleagues… while trying in vain to keep their hands off each other! Cast: Mireille Enos as Alice Vaughan; Peter Krause as Benjamin Jones; Alimi Ballard as Evan Davis; Jay Hayden as James Mclaughlin; Jacky Ido as Agent Emil Abena; Bethany Joy Lenz as Zoe Taylor; Rose Rollins as Andie Davis; and Elvy Yost as Maria Duke. Win Your Copy Right Here!